What you want to be when you grow up? Doctor? Teacher? Policeman? Lawyer? 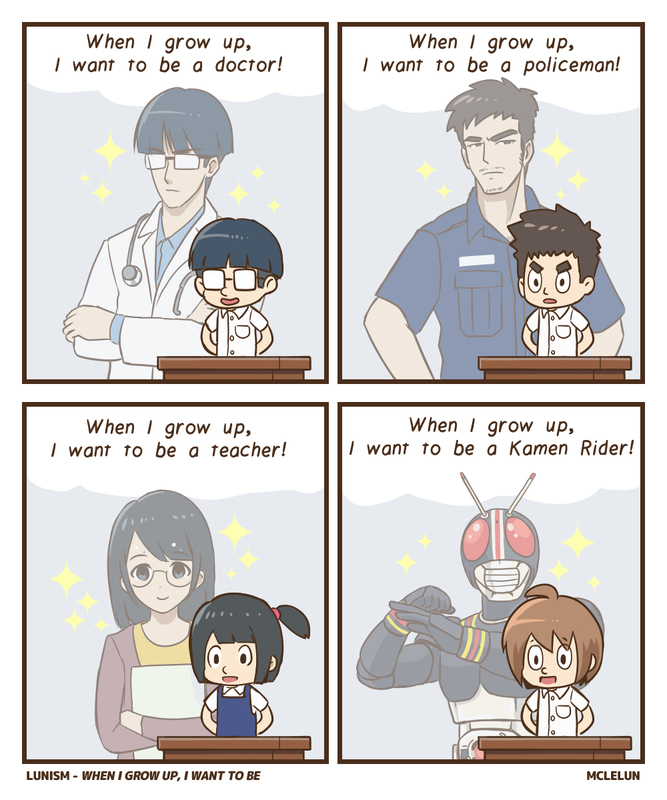 When I was a kid, I always want to be a Kamen Rider.